As part of its Debt Relief commitments to the IMF-World Bank initiative the Tanzanian government announced that from 2016 basic primary school education would be provided free to all children. This is good news but does not completely remove the need for FUM's sponsorship of poor and orphaned pupils from Imeli School. Parents are still expected to provide incidentals such as school uniform, stationery etc. After discussion with our local Nzega co-ordinator Mr Tegile we agreed that an annual sum of £30 would now meet the educational needs of the children and Jenny Wills, the scheme co-ordinator, informed the current sponsors. We are very grateful to those who agreed to continue their contributions at the original level of £60 for this enables us to support more children. 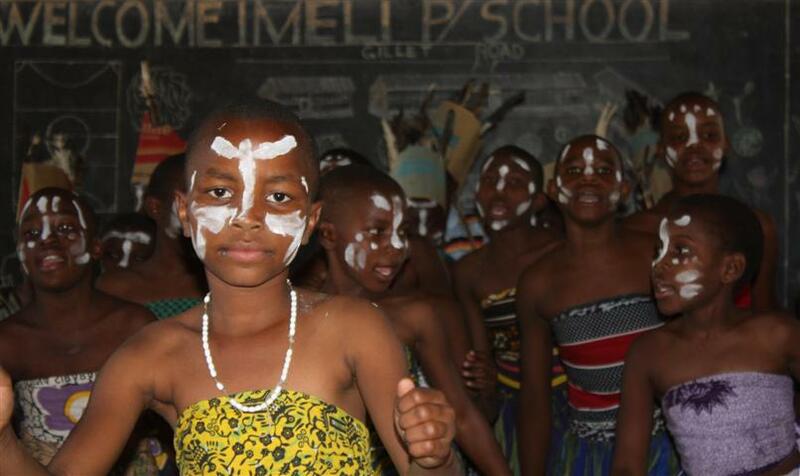 Prior to 2001 Imeli was a very run-down urban primary school, suffering from vandalism and theft, with insufficient classrooms and a demoralised teaching staff. It was without doubt the sink school of Nzega. With input from FUM, Cranbrook School in Kent, Modbury Primary School in Devon and most significantly The Hilden Trust, Imeli was transformed into a thriving and successful school. The pictures show the change between 2001 and 2013. The Imeli catchment area still included some of the very poorest Nzega families as well as orphaned children, often as a result of AIDS. 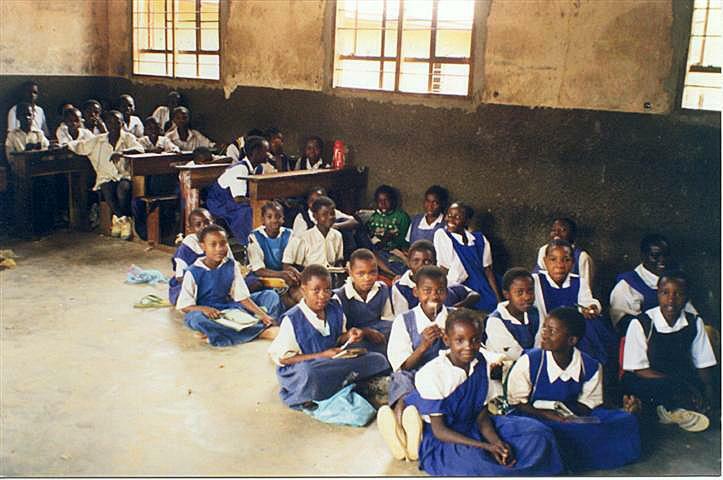 The school improvements enabled more of these pupils to qualify for secondary school but they were unable to afford even the modest fees then required. In Tanzania not all students qualify for secondary school, so the ones who have places are well motivated and enthusiastic. Now that schooling is free just £30 per year will cover the extras such as school uniform and materials. The sponsorship scheme is organised by our Education Officer, Jenny Wills. 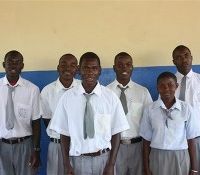 In Tanzania our good friend Mr Tegile of Nzega District Education Department is responsible for the students selected. Most of our sponsored students complete secondary education and enter the labour market with their life-chances greatly enhanced. A significant minority do sufficiently well to continue onto sixth form studies, with a few continuing to university like Andrew Mengi. In 2013 he wrote: "How are you? My name is Andrew Mengi. I am among the students who were sponsored from your Organisation of FUM (Friendship of Urambo and Mwanhala). Now am a student at University of Dar-Es-Salaam, studying for a Bachelor of Science in Molecular Biology and Biotechnology. Thank you for your financial support that helped me in my studies. God Bless You!!!!!!!!" In 2010 Andrew wrote: "Now I am a form six leaver. I completed my advanced level on February 2010 at Sengerema High School. …I was studying physics, chemistry and biology. In April 2010 my form six results were out and I got division three. In May 2010 I sent university applications to different universities and colleges here in Tanzania and now am waiting for the selections. What I hope for the future is to become a doctor who will be more capable of serving many people like pregnant mothers and children who are daily dying with curable diseases like malaria especially in my country and in Africa…… On behalf of my fellow students who were sponsored by FUM from 2003 up to 2010 I send my thanks to you and all other members of FUM"